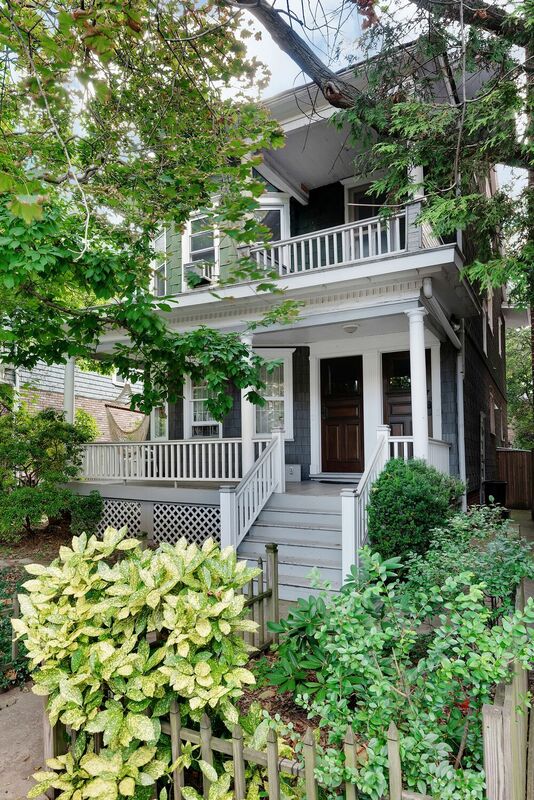 ABOUT: This large, 2,500 sq.ft., legal 2 family Ditmas Park, Victorian house, contains 3 floors, plus a full basement of original details including hardwood floors, stained glass windows, pocket doors, fireplaces, and 4 separate outdoor porches. 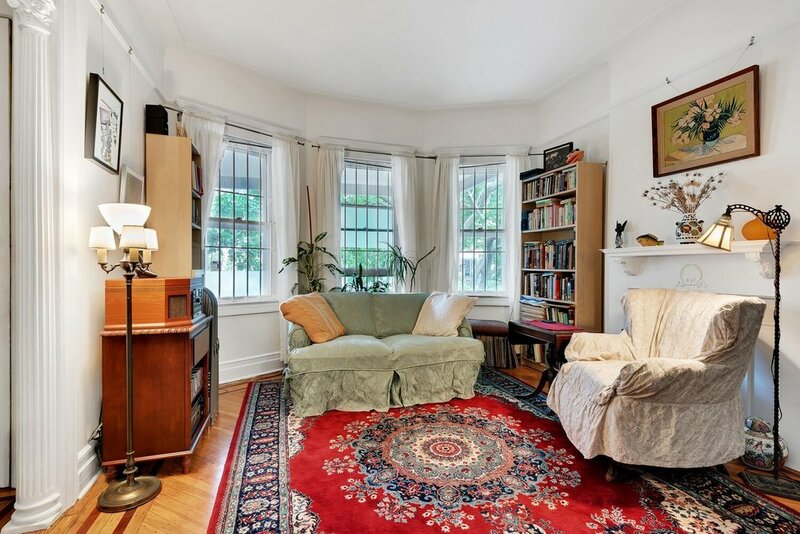 Sitting on a tree lined block, this home offers both historical charm, plus all the modern and trendy accessibility of Cortelyou Road. This 100 year old, 2 family house, has 7 bedrooms, 3 baths and has been lovingly cared for by the same family for over 25 years. It preserves an abundance of original details and is in strong mechanical condition. The home rests on 4,000 sq.ft. of land with a beautiful backyard highlighted by a free-standing meticulously built gazebo that easily seats more than a dozen guests. In addition, for many options to personalize this beautiful house, there is also room to add a driveway for private parking. Priced to sell, with low annual taxes and with two legal apartments that can be rented, this house would yield a highly desirable cap rate return in excess of 4.5%. 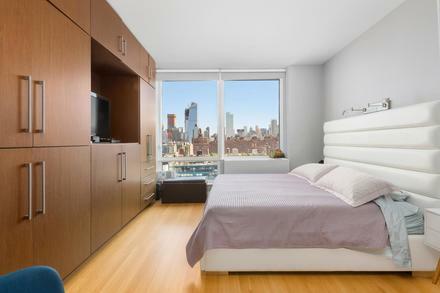 ABOUT: High above Chelsea is this mint condition customized two bedroom with two full baths and private washer/dryer. The incredible corner living room with floor to ceiling windows has mesmerizing views from Greenwich Village to the Hudson River and all the Midtown landmarks. This home was originally bought by one of the developers as their personal residence and has many customizations including a larger living room, creation of a more defined foyer, and an enormous wall of custom closets in the master suite. The large living room easily accommodates a separate dining area, and has plenty of room to entertain. Chef's will be at home in your expertly designed kitchen with caesar stone counters, integrated appliances and custom cabinets. 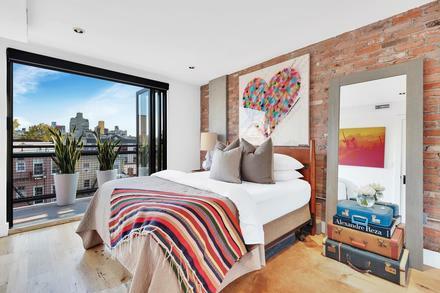 A generous second bedroom is perfect for children or guests. As you enter the king-size master suite you'll appreciate the attention to detail that went into the large custom closets making sure you have a place for everything. The large walk-in closet is perfect for those who love to shop. The five piece master bath with its extra deep soaking tub and separate glass enclosed shower is perfect for those who want to soak their stress away. 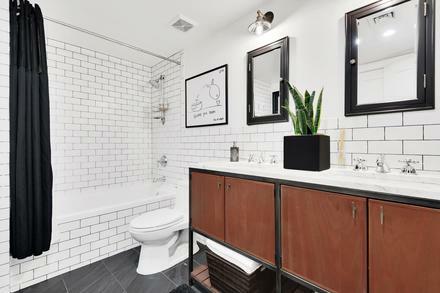 At The Caledonia the staff is like family and the amenities, including on-site Equinox and Soul Cycle, garage, resident's roof deck, business center, children's playroom and zen garden will make you never want to leave. 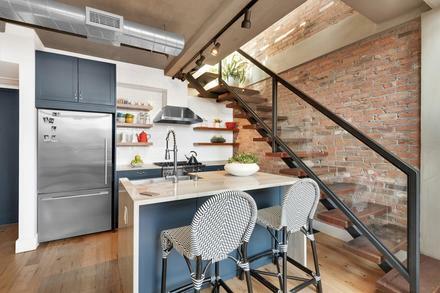 ABOUT: The very first open house, this East Williamsburg Penthouse terraced luxury living! 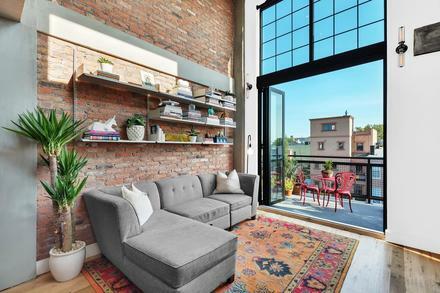 This stunning duplex condo features double height ceilings and oversized 12 foot windows, filling this loft with sunlight. 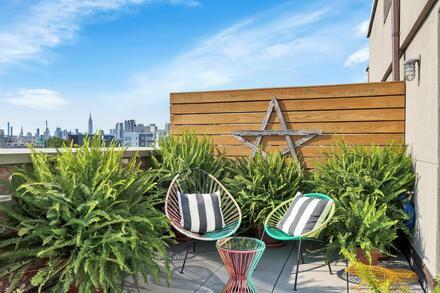 Entertain on either of your TWO private outdoor spaces: a balcony the width of the apartment, or an upper roofdeck with spectacular skyline views. Spread across 2 levels, Penthouse B offers a spacious 956 interior square feet, with an additional 525 exterior feet of terraces accessed by double paned custom glass floor to ceiling doors.